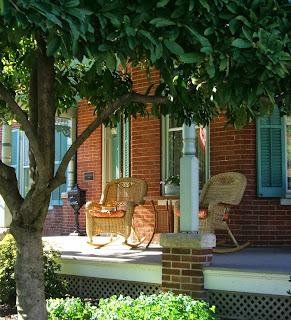 Front porches inevitably stir up a fantasy in which I visit with a friend or sit with a glass of iced tea and a book. 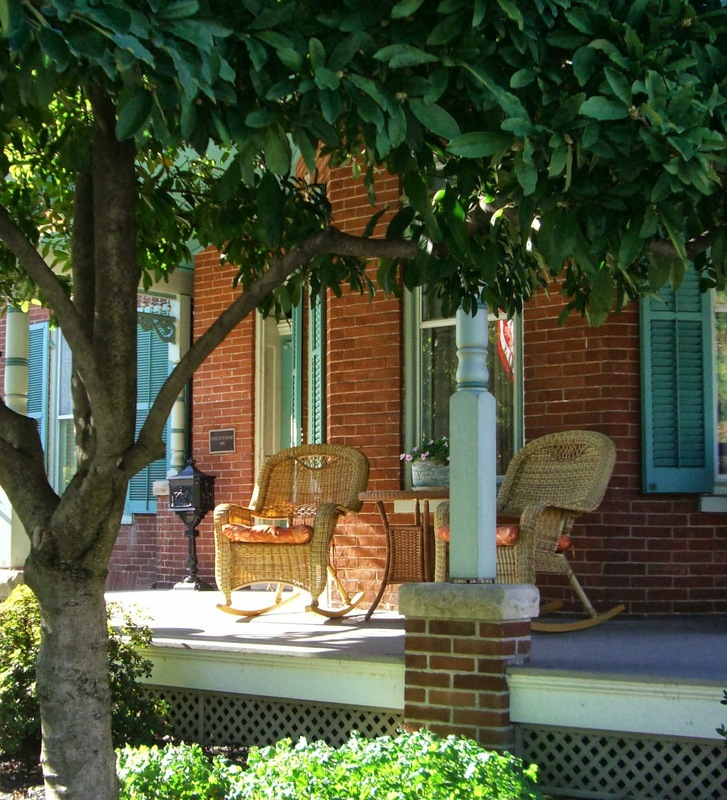 Walking along the main road of a small town, I took in the details of the carefully maintained houses. Each one has a lovely old porch. But the reality is that large trucks rumble along the road, day and night, a few feet from where I stood. In the days when people traveled by horse and carriage, the wealthiest citizens built their homes to face the road. They did not have to dash out between 18-wheelers to visit a neighbor across the street. I'm sad that my small town fantasy is only a fantasy, but I'm also grateful to those who restore, live in or work in these architectural gems.